NASA has chosen the landing site for its next Mars space probe. 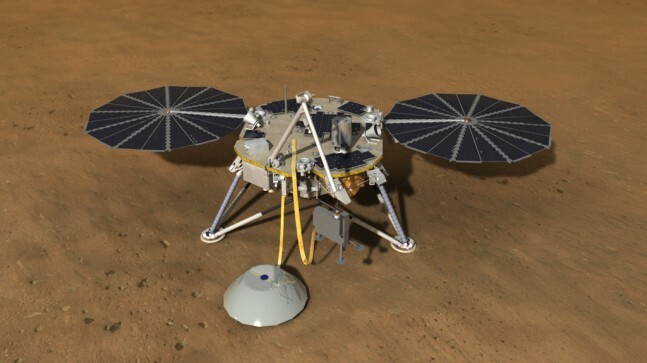 The Mars InSight (Interior Exploration using Seismic Investigations, Geodesy and Heat Transport) lander is currently scheduled to arrive at the Red Planet in 2016. 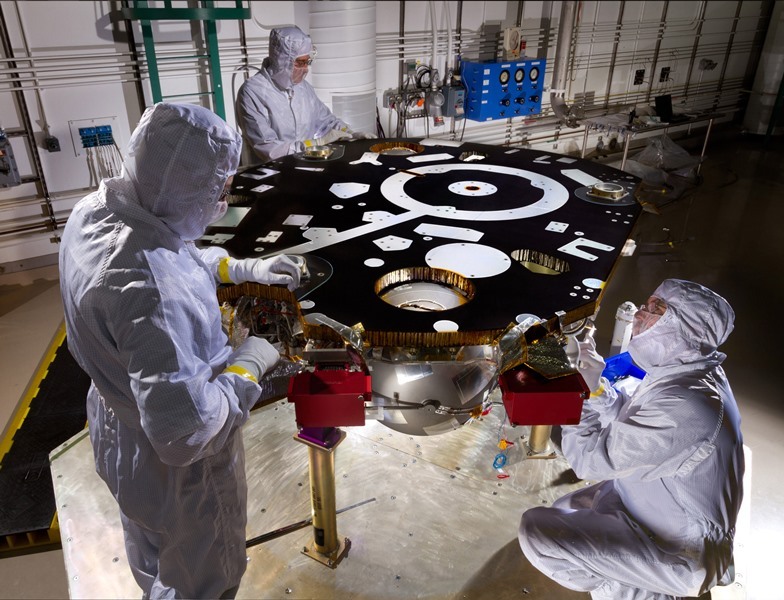 InSight’s primary mission is focused on the studying the internal properties of Mars. The lander carries two main instruments, a heat-flow probe and a seismometer, both being deployed using the lander’s robotic arm. The heat probe is designed to drive itself into the planet’s surface to a depth of three to five yards (3m to 5m). In order to accomplish this, InSight will need to touch down in soil that will permit the heat probe to hammer itself into place. The search for the landing site was aided by THEMIS (Thermal Emission Imaging System), an infrared and visual imager currently installed on NASA’s Mars Odyssey orbiter. In operation since early 2002, THEMIS was designed and is currently operated by Arizona State University. The data collected from THEMIS have let scientists create a near-global map of Martian surface properties. The sensors and cameras used by THEMIS operate at nine infrared and five visual wavelengths. “To land a probe safely on Mars, you need to come down in a flat, smooth place,” says Jonathon Hill, of Arizona State University’s Mars Space Flight Facility, part of ASU’s School of Earth and Space Exploration (SESE). A staff member and Ph.D. student in planetary science, Hill’s day-to-day role involves targeting specific areas of Mars for THEMIS to image. “Picking a safe place,” he says, “means the landing site can’t be full of big rocks or covered in a thick layer of dust.” By measuring how quickly the ground cools at night or warms in sunlight, THEMIS can tell the proportion of rocks and dust on the ground and thus help paint a picture of what awaits the lander at the surface. NASA has selected Elysium Planitia as the prime landing area for InSight. This location is a region where ancient lava flows cover the ground. THEMIS was used to survey the rocks, sand, dust, and surface materials across InSight’s four candidate landing areas. NASA then narrowed down the potential landing sites from four to one using this information. “InSight’s mission planning team worked closely with us to find places with a suitable surface for the spacecraft to go,” says Hill. Additional data and imaging came from the High Resolution Imaging Science Experiment (HiRISE) on NASA’s Mars Reconnaissance Orbiter. 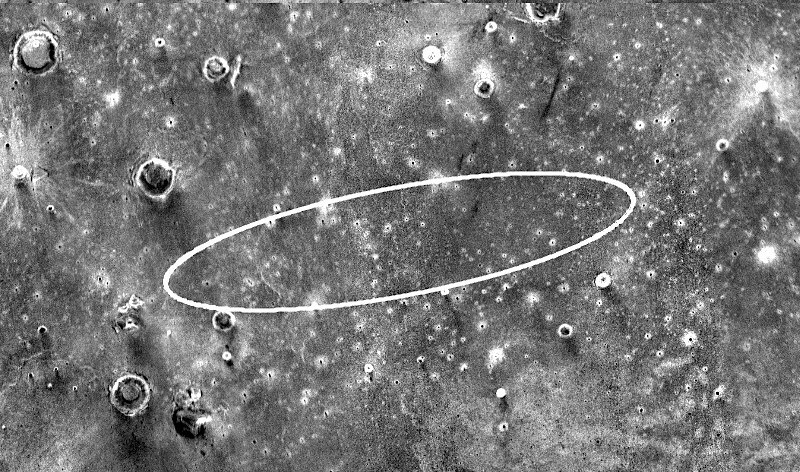 THEMIS is currently taking visual images of the entire landing zone, known as a site ellipse. Each visual image covers a smaller area, but they have about five times sharper resolution than the infrared images. InSight is not a rover. Built using the same flight platform as the Mars Phoenix lander, InSight will touch down in one place and stay there for its entire mission. Should something go wrong at the landing site the probe will not be able to drive to a better location to complete its mission. This increases the risk factor for the entire project. InSight’s mission is projected to last two Earth years. Checking out a Martian landing site ahead of touchdown is a now-familiar role for THEMIS, says ASU’s Philip Christensen. A Regents’ Professor of Geological Sciences in SESE, Christensen is the designer and principal investigator for the THEMIS camera. The School of Earth and Space Exploration is a unit in ASU’s College of Liberal Arts and Sciences.